The International Energy Agency (IEA) published its annual Medium-Term Coal Market Report yesterday, with a lot of attention devoted to proffering the notion that China’s coal consumption will continue to grow until the end of this decade, despite a dramatic slowdown this year, and ambitious new energy and climate targets. But an analysis of the IEA’s calculations suggests they may be a very optimistic outlook for the world’s most polluting form of energy based on data from the world’s largest coal companies. In its annual World Energy Outlook (WEO) the IEA has now adjusted its central forecast for China’s coal use downwards twice; driven by significant growth in renewable energy installation targets, the rapid acceleration of gas imports and a materially lower assumption for China’s gross domestic product growth. The latest edition (from November) anticipates 1.3% annual growth from 2012 to 2020 but even this scenario does not achieve a CO2 peak by 2030, a target that China recently committed to – so it will probably need to be adjusted again. But when it looks at the coal market in particular the IEA comes up with different figures. The Coal Market Report suggested growth in China’s coal use would be twice as fast as that predicted in the World Energy Outlook – just a month earlier. The IEA predicts that coal consumption will grow from 2013 to 2019 at 2.5% a year. Taking into account the probable fall in coal consumption this year that means coal use would have to grow at over 3% per year from 2015 – almost three times the rate predicted in the IEA’s own World Energy Outlook. This rate of growth would make it impossible to contain global warming, as rapid China CO2 emission growth would make peaking global CO2 emissions impossible. The IEA coal report acknowledges support from a long list of coal producers who have a strong interest in forecasting a rosy future for dirty energy. The new Coal Market Report includes a fact box on what would be required for China’s coal consumption to peak by 2019, with the title “Peak coal in China? Not yet”, listing the truly heroic accomplishments the IEA coal team believes would be needed. However, the report creatively redefines “peaking” as demand falling below 2013 level by 2019 – this is not what peaking by 2019 means. Peaking by 2019 means achieving a negative rate of growth by 2019 that is then sustained; what the IEA is actually looking at is the prospects of achieving a peak and significant decline around 2016. This skewed definition of peak means that only half of the measures listed by the IEA are actually needed for a coal peak. If one uses a more normal definition of the world peak the report actually shows a peak in China is quite achievable this decade, given existing and expected energy targets. In fact, peak coal came closer by a big step on the same day as IEA published its forecasts, as China was reported to be considering a full stop to approvals for coal-to-gas and coal-to-oil projects. These projects are the biggest source of additional coal demand outside the power sector in the IEA forecasts, and stopping approvals would limit their coal use to well below half of what the IEA was forecasting. Forecasting the future is hard, but the first prerequisite is taking stock of current facts. 2014 will mark the end of a decade of unprecedentedly rapid coal consumption growth in China. From 2003 to 2013, China’s coal burning more than doubled, dominating the growth in global CO2 emissions and making a global emission peak impossible to achieve. In 2014, coal consumption reduction measures, ongoing improvements in energy efficiency, economic restructuring and slower industrial output growth, as well as a rapid increase in non-fossil power generation are leading to this century’s first absolute drop in China’s coal consumption, with coal industry data indicating a 1.2% reduction during first nine months of the year and the fall steepening as 2014 has progressed. This reduction appears to have been missed by the IEA, who forecast a 5% increase in coal burning from 2013 to 2015. Given the 2014 decline, this means a rapid recovery to deliver more than 5% year-on-year coal demand growth in 2015. Forecast for coal imports also shows an increase from 2013 to 2015, despite a 9% drop year-on-year in the first 11 months of 2014, again with this decline accelerating as the year has progressed. Over the past year, we have seen a flurry of dramatic announcements about energy and climate targets from China. First the air pollution action plans with bans on new coal-fired capacity in key regions and absolute reductions in coal use in eastern provinces from 2012 to 2017. Then the pledge made in the APEC meeting to peak CO2 emissions and raise the share of non-fossil energy to 20% by 2030. In October 2014 there was much discussion of the possible bringing forward of the implementation date for a national emissions trading scheme from 2018 to 2016. And, finally, in November, the State Council published a “Strategic Energy Action Plan” with targets for limiting total energy consumption to and coal consumption in absolute terms, increasing the share of non-fossil energy and gas to 15% and 10% by 2020, respectively, as well as capacity targets for renewable energy sources and nuclear power. These targets matter – because they guide implementation at every level. The recently announced coal consumption target is high, allowing coal consumption growth to continue at near current rates. However, a thorough analysis of China’s targets reveals that many of the targets and measures in the State Council plan will have a very significant impact on reducing China’s coal consumption, which means the actual target for coal is unlikely to be the limiting factor in its use. There is nothing contradictory or unusual about this, indeed it’s already happening. The 2015 target for limiting coal consumption to 3.9 billion tonnes will be overachieved as well, with coal consumption likely to be in the 3.5-3.7 billion tonne range next year. First of all, the target for non-fossil energy (renewable energy and nuclear power) to make up 15% of total primary energy consumption in 2020 and 20% in 2030 will require very significant action on the power sector. Non-fossil power generation will need to increase from 22% currently to 33-35% in 2020 and 40-45% in 2030. This, along with projected improvements in power plant thermal efficiency and an increase in gas-fired generation, will squeeze coal use for power dramatically. The power sector uses half of all coal in China and has been by far the largest contributor to coal consumption growth. Because of this we estimate that coal-fired power generation will grow at only 2.0-2.5% per year from 2015 to 2020, and less than 1% thereafter. Higher efficiency of coal-fired power plants will mean coal consumption will grow by less – in the 1.5-2.0% range until 2020. Outside the power sector coal use will fall. China’s target of reducing coal consumption outside the power sector to 40% of total coal use in 2020 means a decrease in non-power coal use of approximately 1% per year until 2020. This includes direct coal use in industry as well as small-scale coal use, which has already been decreasing. With the economic rebalancing and/or a possible economic slowdown reducing demand for steel, cement and other energy intensive goods, overcapacity elimination improving energy efficiency, and electricity and gas replacing direct coal use in industry, this reduction is very achievable – coal use outside the power sector is also on track to fall this year. Combined with a 1.5% average growth from the power sector, slowing down towards 2020, the reduction in other sectors would mean China’s coal use peaking at close to the current level. Indeed the effects of the non-fossil targets are already seen in the drop in power sector coal use this year. The increase in non-fossil power generation this year will likely be around 200 TWh, against a past average of just under 100TWh annually. This is the largest reason for dropping coal consumption. This rapid increase is not an anomaly but rather the new normal. Meeting the 15% non-fossil energy target will require adding approximately 190 TWh of non-fossil power generation per year. Non-fossil power generation growth is still driven mainly by hydropower, but as remaining potential is exhausted towards 2020 and the economics of wind, solar and other modern renewable energies continue to improve rapidly, their share will grow, likely also resulting in raising the already substantial targets. Another way of looking at coal consumption is charting the implications of China’s targets for total energy consumption, non-fossil energy and gas. These targets constrain total coal consumption at around 3.9bln tonnes and 58% of total energy, as opposed to 4.2 bln tonnes and 62% proposed in the coal plan, and 66% currently. China’s primary energy statistics break energy into four categories: coal, oil, gas and non-fossil energy. The State Council plan sets a target for all of these categories except oil, as well as a target for total energy consumption. Using a range of oil consumption growth rates found in IEA forecasts, it can be seen that the current targets add up to well over hundred percent if coal makes up the maximum share allowed for by the coal cap target. Hence meeting the other targets will limit coal consumption to a much lower level than the proposed coal consumption cap. One source of uncertainty in this calculation is the possible overlap between coal and gas: a part of the gas target could be achieved by using syngas made from coal – an even dirtier and more water intensive way of coal use than direct combustion. Luckily, the coal-to-gas boom that we have feared in China currently appears largely dead, with China now considering no new project approvals. The “High Coal” option above does however factor in 30 billion cubic meters of gas being supplied from coal-to-gas plants. We also expect ambitious targets for controlling coal consumption in the eastern and central provinces covered by China’s air pollution action plans. Indeed, another announcement expanding “strict control of total coal consumption” to the Sichuan basin, an important emerging economic region, was made in December 2014 as a part of a development plan for the “Yangtse river economic belt”. These targets will drive additional action in the eastern provinces and contribute to maintaining momentum for economic rebalancing, even if the national coal cap target has no teeth. China’s 2020 energy targets could lead to a peak in coal consumption. The rate of increase in non-fossil energy and gas achieved by 2020 will be sufficient to peak coal if primary energy consumption growth is below 3% per year, a rate that is well in line with the target for total energy consumption in 2020. This would also imply significant progress towards peaking CO2, with growth slowing to around 1%. Recent changes in China’s energy landscape are nothing short of a revolution, with 2014 set to mark the first annual drop in China’s coal consumption and possibly CO2 emissions this century. China has committed to a set of ambitious targets and actions that significantly diversify the Chinese electricity sector, building energy security and curbing both coal use and CO2 emissions much more than the IEA’s forecasts and China’s own proposed coal target for 2020 would imply. For the Chinese government, setting targets for coal use and CO2 emissions that consolidate China’s actual level of ambition would be important for coordinating domestic and global efforts. In the meanwhile, it is important for the rest of the world to pay attention to the totality of the market trends and government actions in China. 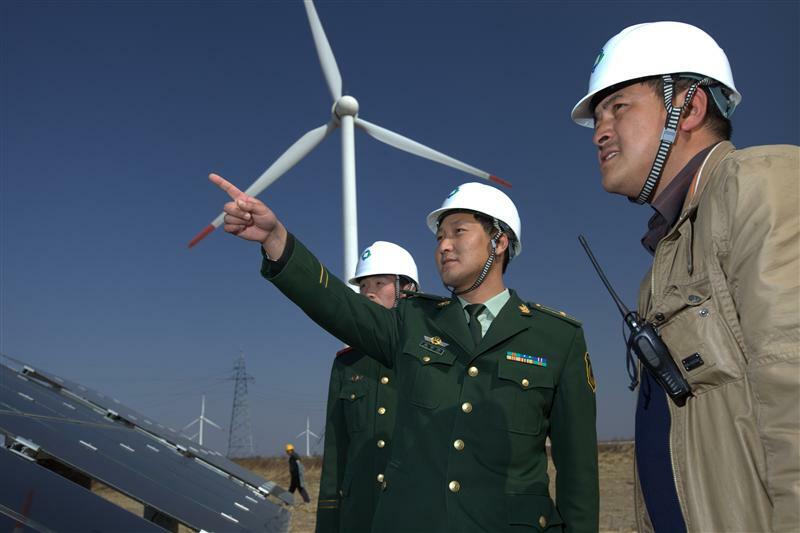 The technology and industry leadership evident in China will continue to underpin an acceleration of increasingly lower cost, scalable low carbon technologies across smart grid transmission, energy efficiency, wind, solar and storage.